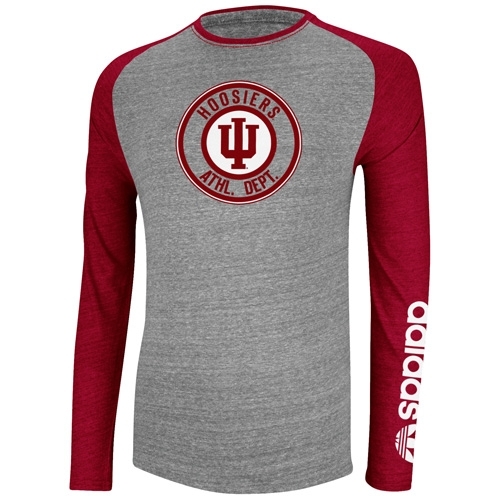 ADIDAS raglan long sleeve shirt comes straight from the 'Athletic Dept' and comes in a tri-blend of polyester/cotton/rayon. 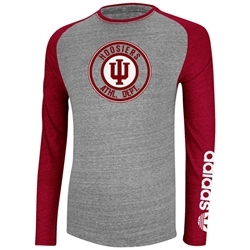 Circular IU Athletic Dept logo is screen printed on front with the Adidas logo running down left arm. Adidas branded and quality tee. Men's Metro Fit.